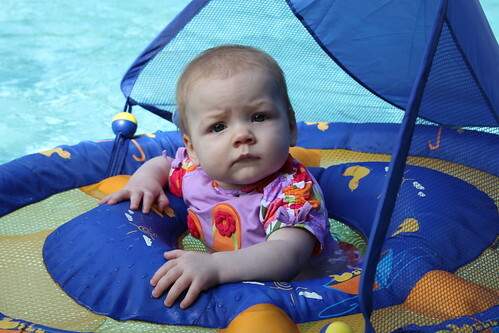 Kenley went swimming for the first time over Memorial Day weekend at Grammy’s house. She was more subdued than we thought she was going to be. 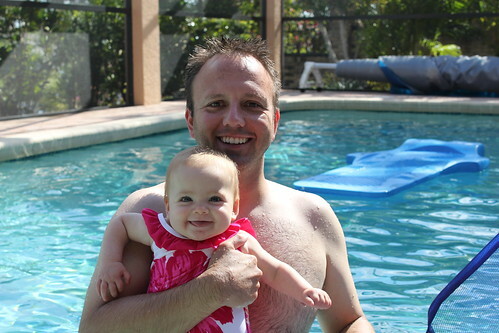 During bath time, she is a maniac in the water, splashing around and having a blast. 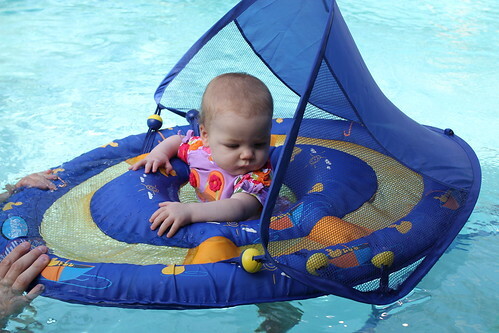 In the pool, she just floated around and took it all in. She was very confused at first, but then got the hang of it very quickly. but turns out that it worked out perfectly since she didn’t have to put on a wet suit when it was time to go swimming again. 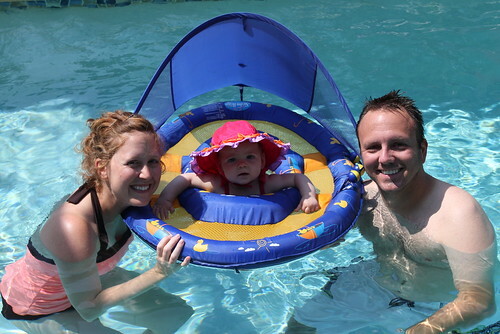 Playing in the pool with mom and dad! we are pumped to head back over there this coming weekend for more fun in the sun! i LOVE these pictures of K – what a sweetie! 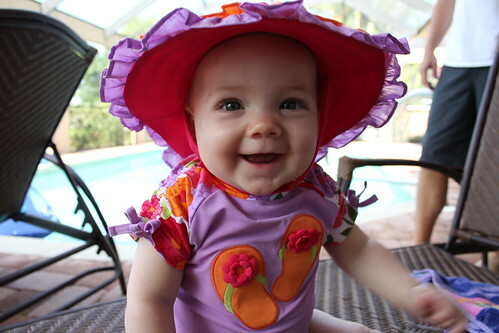 i can see why she has so many swimsuits as they are so adorable. i hope all is well! Thanks Misha!! I couldn’t resist on the two from Gymboree once I saw the little hat. 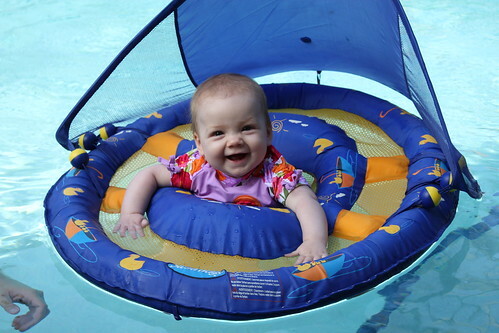 I figured she’d get some good use of out them this summer! Thanks! It’s Nautica, my mom got it from TJ Maxx. It didn’t fit her that well so she passed it along to me, thankfully! Ha!